Mosconi Cup: Wiley to Lead U.S.
Wiley will lead an underdog Team USA into hostile territory. 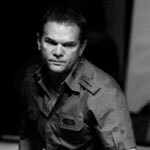 FOLLOWING A 16-year absence from the event, winning 1996 Mosconi Cup player/captain CJ Wiley returns to London this December as skipper of the American team at PartyPoker.com Mosconi Cup. 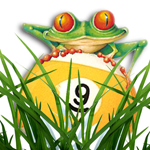 The 47-year-old Wiley from Texas was in charge of the side in London in 1996 and had the honor of potting the winning 9 ball in a 15-13 victory. After a highly decorated spell at the top, including winning the ESPN World Championship, Wiley wound down his career in the 2000s, choosing to focus on a successful business career. He’s now back — and will be facing one of the toughest challenges of his career as he attempts to rally his side and turn their recent Mosconi Cup fortunes around. “It’s an honor to be chosen to represent the USA team as captain in 2012,” said Wiley. “I have been honored with the Player of the Year award and won major championships; however, being chosen to represent my country and its best players in the Mosconi Cup is something I value as an even greater personal accomplishment,” he said. “I know that the European team has dominated us over the past 6 years and I know it’s going to be especially challenging to go into York Hall in front of a highly enthusiastic home crowd and win the Mosconi Cup.